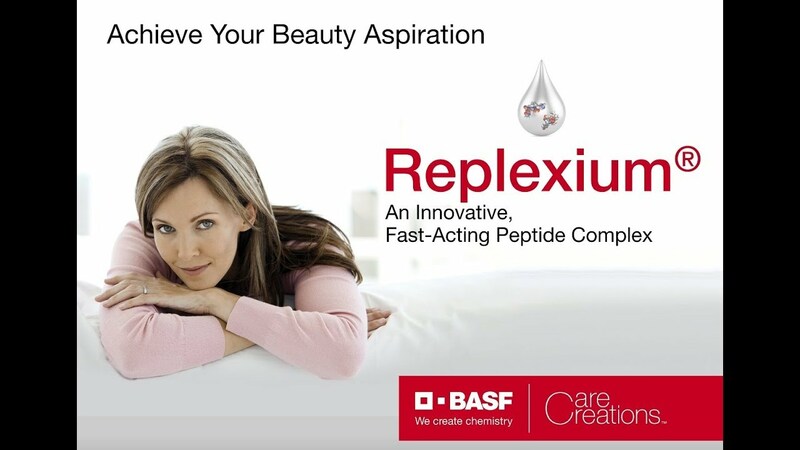 Replexium™ is a skin-bioavailable synergistic complex of 2 patented peptides perfectly suitable for development of performance skin care products. Replexium™ demonstrates quick efficacy by reducing the appearance of wrinkles and provides skin firming benefits within 3 weeks. Dermal density and hypoechogenic dermal factor by ultrasound. Improvement of visible crow’s feet, forehead wrinkles and nasolabial folds. Stimulation of the synthesis of collagen I and XVII, lumican and syndecan-1. Stimulation of expression of genes coding for collagen I and XVII, lumican and syndecan-1.